Unparalleled service like no other! We use RAID 10 technology SSDs for a fast and highly reliable server. For us, performance and quality comes first. You have the option to reformat your VPS anytime you want. This is made quick and easy with our user-friendly control panel interface. Our servers only use premium equipment. These include octa-core CPUs, RAID 10 technology, premium SSDs, and more! Our VPS control panel makes it possible for you to boot, reboot, reinstall, and shutdown your VPS anytime you want! With our low latency premium network, you can take advantage of a short and optimized routing on every country in the world. We make sure to offer you the best possible performance for your VPS. This means we make sure not to oversell, ever. No Setup Fee. No Contract. Get your plan set up in just 30 seconds! Need a different plan? Request here. A team of professionals is always there to answer your questions. We make sure to keep your data and server free from any malicious attacks. We do this through 24/7 monitoring and resolving any issues along the way. Our servers are properly optimized to make sure your software/application goes smoothly. Enjoy zero server freeze-up and downtime. Need Answers? Consult Our Experts Now! We ensure amazing performance, excellent flexibility, and top-of-the-line support. We use E5-2680 with 8 cores and 16 threads. It has a 2.7 GHz processor, and significantly better than the 2.5 GHz E5-2640. To optimize our service, we use two (2) physical CPUs for every server. Thus, we currently have 16 cores and 32 threads. We are using high performance and low timing server RAM which is built for low latency and high complexity calculations. VPS Malaysia uses trusted SSD like that of Kingston, Samsung, and Crucial. Reliable and high performing, these disks allow faster performance and lets all VPS run more smoothly. Our high quality RAID card comes with high cache memory and fast transfer rate. Our RAID card features a battery backup unit and the RAID 10 Disk System. This is backed by battery, so we can avoid any data loss. Its data protection level and storage performance are topnotch. Cisco Top Range Network switch delivers security and performance. Since it’s backed with battery and can be plugged to an A/B power strip, it minimizes downtime. It is definitely the best technology for networking. We always strive to give you the best of the best! We don’t want to burden you with contracts and hidden charges; hence, we offer contract-free and 100% transparency in all our charges and service fees. We believe that quality and credible hosting services need not be expensive; thus, we offer you high-quality VPS hosting service at reasonable prices. Waiting time is wasted time. Thus, here at VPS Malaysia, we make sure that you receive the product instantly after the completion of your purchase order. We employ quality control solutions and server monitoring for a secure and reliable service. It is also possible through our advanced technologies. I created my game server with VPS Malaysia, and all our players do not have complaints (completely different from my previous hosting provider). Good network performance! We customised our plan for our company mail server. Luckily, VPS Malaysia’s server has no issue handling our 150+ email users. Their prices are reasonable too. Highly recommended. What is a Windows VPS Hosting? A Windows VPS is a Virtual Private Serve which runs the OS from Microsoft which is called Windows Server. There are different versions of Windows server. Some use more system resources than others. Can I connect from multiple locations? Of course, you can connect to the VPS with the same details wherever you are or whatever device you use. What are the perks of using your Windows VPS Hosting to run my application? Can I upgrade to a higher plan in the future? Yes. You can get a higher plan in the future. Don’t worry about possible data loss or downtime as our Windows VPS hosting upgrade is always smooth and seamless. Are there any setup, contract, or hidden fees? What form of payment gateway do you guys accept? We do accept PayPal, Credit and Debit Card (Visa/Master), Malaysia Online Banking, JomPAY and Manual Bank Transfer. Do you offer Linux VPS Hosting? Yes, we do. Please check it out at this link: Linux VPS Hosting. Take Advantage of Our Risk-Free Windows VPS Offer Now! 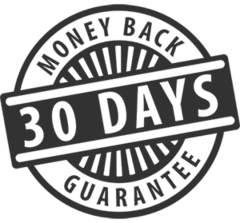 Enjoy our Windows SSD VPS service for 30 days risk-free, or your money back! NO STRESS, NO HASSLE. Get in touch with our customer support. Terms & Conditions Apply.